John here, Mr. Startamomblog. Thanks for checking out this month’s income report! We have only recently begun publishing our monthly results with you all, but already we’ve been receiving very encouraging feedback! Thank you for all your kindness and motivation to continue sharing and improving how we serve you. If you missed a previous month, we keep them all archived here. Last month, I touched on 3 key reasons why we publish our income reports, but I left an important detail off. I’d like to clarify that this month. The detail is, why do WE publish our income reports? You read, see, and listen to my beautiful wife all month long (and she loves you for it! ), but it’s rare that I come out of the woodworks and actively contribute on the blog. So why am I writing the introductions to these reports? I help Suzi zoom out. Everyone’s personality is different. There are the analytical, conceptual, structural, and social thinkers. You can take personality tests online, but I bet you already know which type of thinker you are. I am embarrassingly analytical and conceptual, but am unstructured and introverted. Suzi is the exact opposite – she is very detail oriented and bubbly (can you tell?). We compliment each other, and during these income reports, Suzi and I get to talk big picture strategy for the times ahead, and it’s so much fun! I love working with my wife. So, confession time. I think I fell in love with Suzi when she was my teacher’s assistant in college. Something about visiting her in office hours… Anyways – working together has always been a passion for us. We love creating things, and I love seeing her eyes light up when I know she’s 100% on with a project. And I get to see that spark in her whenever she is telling me about her blog on our walks around the neighborhood. It’s a dream of mine to be able to support our family without the need of a job that takes me away from home for 12 hours a day. To be able to do that AND see that spark every day? Where do I sign? Alright, enough talk – let’s get to the numbers! I love spreadsheets and tracking every number. It’s motivational and keeps me focused. 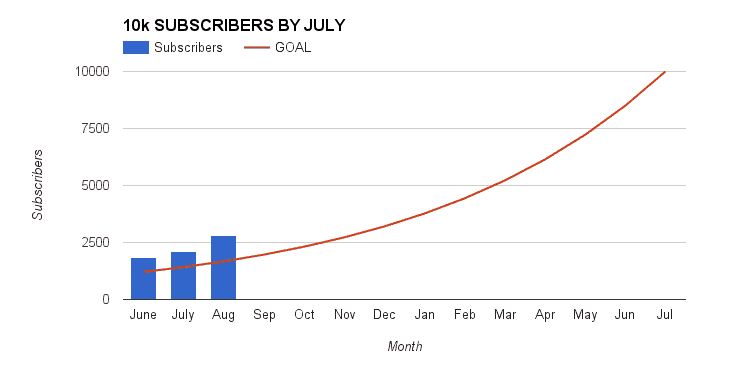 Our goal is to be making 10K per month by July 2017. We’re on track! Hi, Suzi here! Thank you to my handsome hubby for running through the numbers above. I’ll go a bit into what worked this month and what didnt. 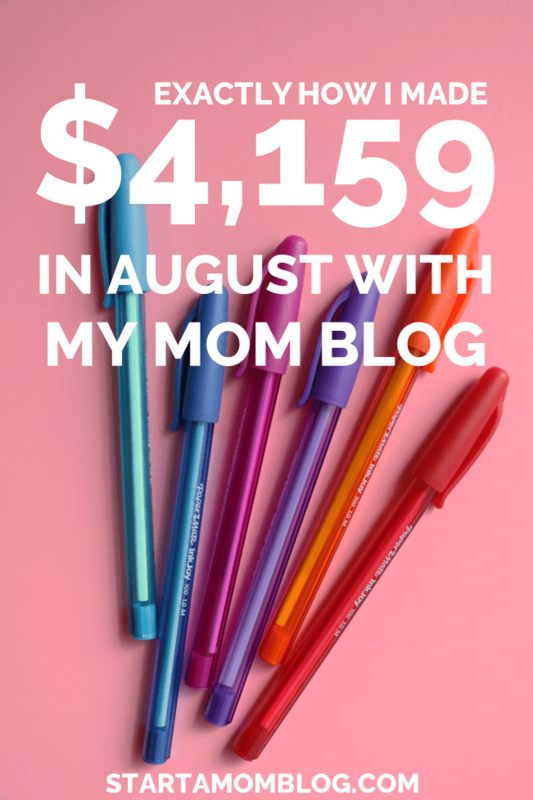 Oh my goodness, I struck gold in August with guest posting! Most of my income this month came from sales through affiliates of my ebook, Blog by Number. I’ve guest posted before, on huge sites, but I hardly received any traffic back to my blog. Why didn’t this work? Because I was guest posting on sites that did not have my ideal audience. I needed to realize that I had to reach moms BEFORE they start a blog right? Seems obvious? But I didn’t think about it. 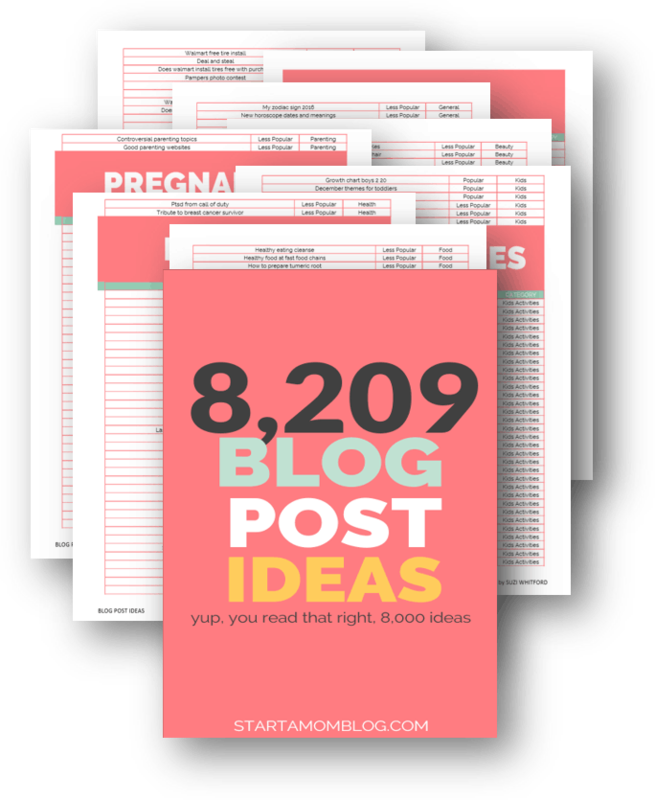 And my guest posts on Social Media Examiner and Successful Blogging are great posts, but they didn’t bring traffic. Once I realized this I approached the right sites to showcase my work. I guest posted on Anna’s super helpful site, Real Ways to Earn Money Online – A Blogger Success Interview (pin it here for to read it later!) 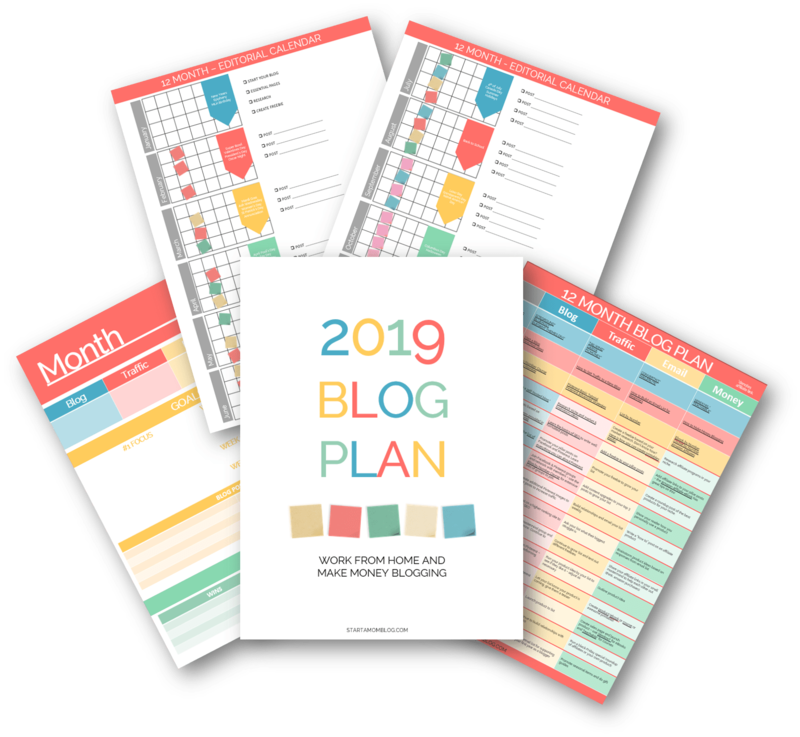 and on Laura’s blog, I Heart Planners – Time Management for Mom Bloggers (pin it to read it later) and also on Holly’s site, The Work at Home Woman – Create an Ebook (read it later here). These three ladies are just amazing and featured my guest post on their blog and sent it out to their audiences. Laura has a list that is over 60,000 subscribers. So the day she sent out her broadcast my phone was going crazy with notifications of sales of my ebook. I can still remember how I felt that day – a little scared and very happy! Additionally, this huge influx of new customers was super helpful in another way too. I started receiving more emails about my product and my customers were asking for specific solutions. 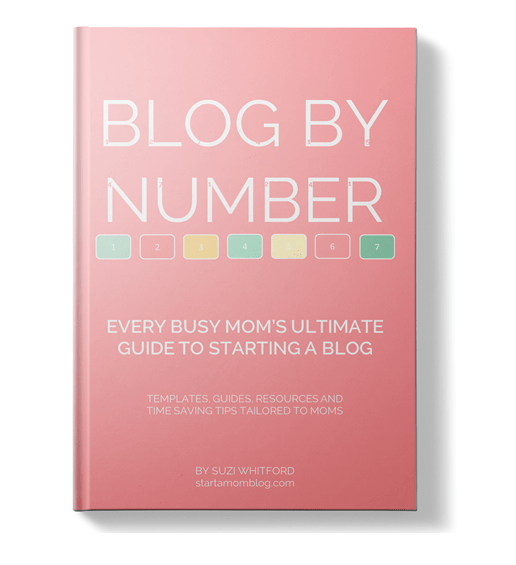 This prompted me to start outlining the course for Blog by Number. I spent the second half of August creating the videos, worksheets and putting the course together. I launched it on the last Monday in August – but more to come on this topic in the Septemeber income report! 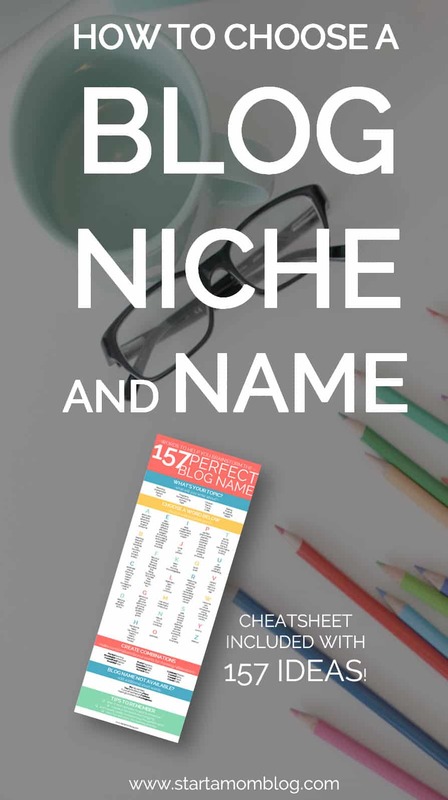 Here’s great advice if you need help getting guest posts or knowing what to pitch. 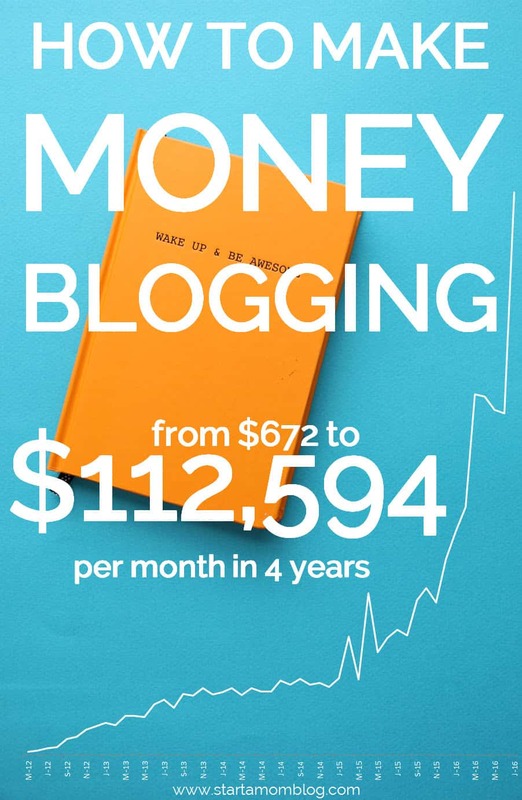 How To Make Money Blogging – this post is a review of the course Making Sense of Affiliate Marketing. It’s been great and sending me 3-4 conversions per month. You can look at it as an example of a good affiliate marketing post. 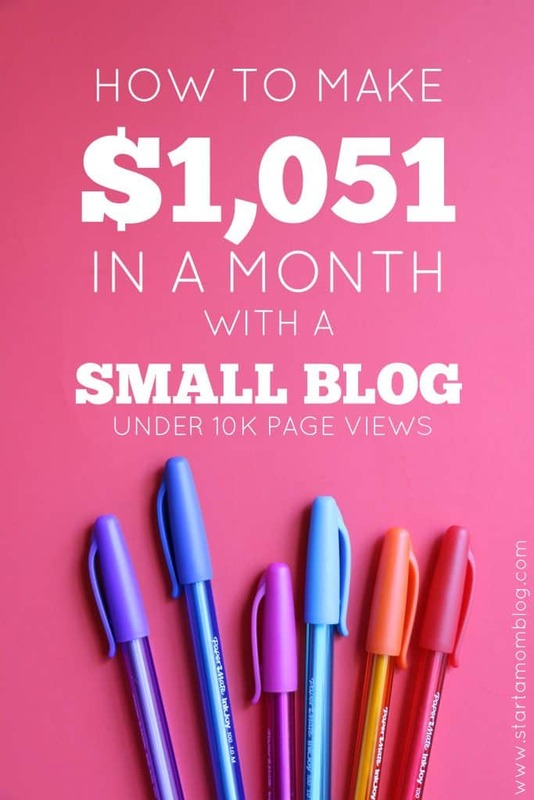 How to Make $1,051 in a Month with a Small Blog – this post just went insane. The day I published it it just took off like wildfire. It’s been my most popular post for a few months now. It’s full of super valuable tips on how to increase your affiliate marketing income with Amazon. There were other posts too, but these were the gems of August. Make sure you understand your audience before you invest too much time into something. I spent days on crafting the perfect guest posts for sites that did not have my ideal reader. Additionally, when you’re low on time, ask a blogging friend to help you with content – you can always return the favor in the future. I hope this report helped you realize that you can do this too! It’s hard work, but it pays off. I’m still amazed that with today’s technology I can grow an online business while staying home with my little ones. It’s an amazing time we live in! I am about to start a blog. My niche will be homeschooling and in particular, I plan to offer free live webinars where I tutor math. I have been trying to decice if your ebook or the How I made $40K my first year is better for me to get. I can only afford one ebook right now, and I really need to start making money ASAP as to justify stopping my part-time job to focus more on my homeschooling. Help!